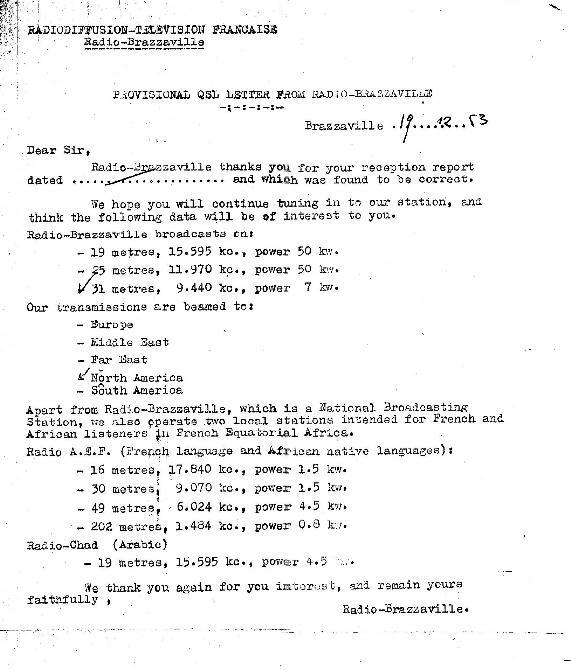 QSL letter from Radio Brazzaville in French Equatorial Africa for report in 1953 on 9.440 MHz. Power was 7,000 watts. French Equatorial Africa was a French colony that included the present day states of Chad, Congo, Gabon, and the Central African Republic. Radio Brazzaville broadcast in English to North America daily and was a very popular station (France did not have English language broadcasts to North America in those days).